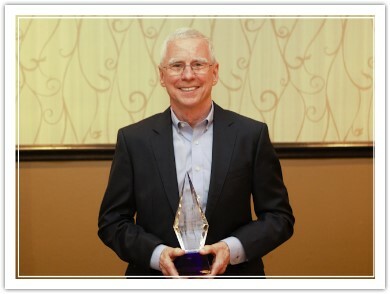 In honor of our amazing founder, Sam Cupp, Winning Futures will award two individuals with the Sam Cupp Impact Award every June. As a successful business owner, Sam created Winning Futures to impact local youth through mentoring, goal setting, strategic planning, and scholarship programs. He not only funded the organization initially, he also worked directly with the students, mentors, and teachers. Sam saw an issue and did something about it. 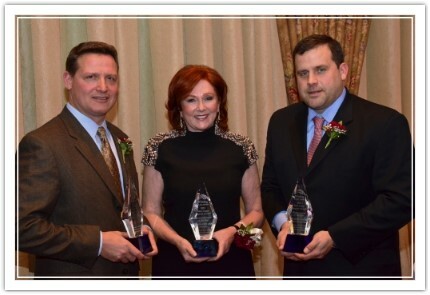 We accept nominations each year for individuals who are successful, established business owners or corporate executives who saw a need in their community, and did something about it. The impact should be through charity. Nominees must possess one or more of the characteristics that made Sam Cupp such an amazing man. Michael Fitzpatrick, Vice President and former owner of Fitzpatrick Manufacturing, a Sterling Heights based CNC machine shop and custom manufacturer, was awarded the 2017 Sam Cupp Impact Award by Winning Futures. The award is given to a successful business owner or executive who sees a need in their community and does something about it. Recipients are honored in memory of the founder of Winning Futures for making a significant impact on the community. 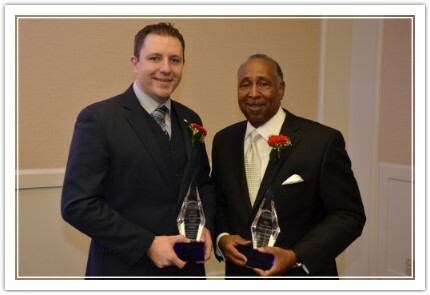 Over the last 20 years, Mike has mentored over 100 students in Macomb County. He has changed the path of his students’ lives and empowered them to reach goals they never imaged they could achieve. Mike has gone above the call of duty of a Winning Futures mentor, shutting down his entire operation to host manufacturing tours to high school students and even hiring some of his former mentees to help them on their path to success. Mike has generously been a sponsor since 1999. Mike’s enthusiasm, unending support of Winning Futures, and sense of commitment to the youth he serves has been invaluable. His long-term commitment to mentoring has made a big difference in the Winning Futures story and has helped shape the organization. “When our founder, Sam Cupp, recruited Mike Fitzpatrick in 1997, he did now know what a major impact Mike would have on our students and organization. Mike is a no-nonsense mentor who gives the students he mentors the straight-talk and guidance they need to achieve their career goals. He is a dedicated, generous, and insightful person who has forever changed his mentees’ lives and Winning Futures. Words cannot describe our admiration and gratitude for Mike,” stated Winning Futures President and CEO, Kristina Marshall. Mike is the first mentor of Winning Futures to mentor for 20 years. Frank Venegas, Jr. is the Chairman and CEO of the Ideal Group, headquartered in southwest Detroit, which employs 500 people and has annual revenues approaching $250 million. He began his entrepreneurial career with a little bit of luck and a Cadillac he won in a Home Builders Association raffle back in 1979. Frank sold the car for $12,000 and used the proceeds as the initial capital investment to start his first company. In 2000, Frank opened the Ideal Group headquarters on the same land in southwest Detroit where General Motors manufactured that lucky 1979 Cadillac. He has since developed seven diverse companies that deliver innovative facility solutions to their customers, and has become equally passionate about developing our nation’s youth. Much like Winning Futures founder Sam Cupp, Frank facilitates access to educational opportunities, internships and mentoring programs for Detroit Cristo Rey High School students. He is giving students an edge by sponsoring dual enrollment for all Cristo Rey seniors at Marygrove College and helping them become leaders in STEM fields by sponsoring FIRST Robotics programs in Detroit. 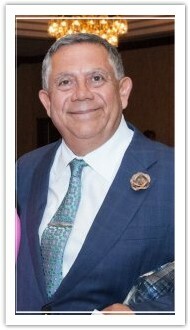 Frank is the chairman of the Detroit Hispanic Development Council and is a board member of the Detroit Regional Chamber of Commerce, Michigan Science Center and Detroit Riverfront Conservancy. He also sits on the advisory councils for the Tuck School of Business at Dartmouth College and the University of Michigan-Dearborn, CASL. Jim Comer is leaving his mark on The Motor City! Jim hails from Youngstown, OH where his automotive journey began nearly 40 years ago in a GM manufacturing facility. Jim’s time learning the nuts and bolts of the automotive manufacturing business at GM, followed by a significant quality management position at Mazda Corporation prepared him for a future at Lear Corporation as President of North American Joint Ventures. After founding Comer Holdings LLC , Jim created Integrated Manufacturing and Assembly (IMA) as a joint venture with Lear Corporation. Occupying six manufacturing facilities and employing over 2,500 employees, IMA has been a driver of the local economy, adding 3 manufacturing plants and more than 1,000 new jobs since 2010. Throughout Jim’s rise from factory worker to business owner, he always knew the importance of hard work, humility and humanity. Jim holds membership on various boards, such as Sinai-Grace Hospital, Arts League of Michigan and VIP Mentoring, and works with many other organizations. 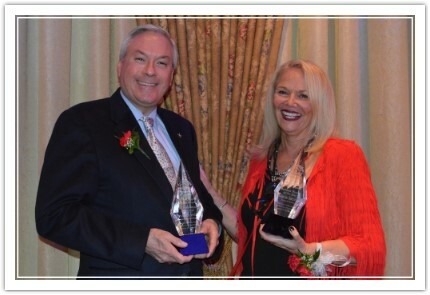 Jim and his wife Donna created the Comer Foundation in 2010 which is committed to the improvement of the Detroit area by providing resources which support educational, economic and social development. In 2003, Governor Jennifer Granholm appointed Jim to board of the Michigan Community Services Commission, and in 2005 he was honored by President George W. Bush with the President’s Volunteer Service Award. Jim’s real reward comes from the many young people who have graduated from the Lear Automotive Youth Academy, a program Comer launched in 2004 that hires at-risk youth for meaningful summer employment. These students, in addition to those individual mentees who’ve gone on to graduate high school or college continue to remind Comer that his work is worth it. Jason Gordon is an AlliedBarton mid-executive leader for Michigan and North Ohio. AlliedBarton Security Services is the largest American-owned security company headquartered in Conshohocken, PA. He has risen through the company over the past 10 years since starting out as an entry- level security officer to where he is now, with stops along the way in ground level supervision, account management, district training and operations. Jason is supported by his high school sweetheart Christina Gordon (Holtz) and his two boys, Nathan (4-years-old) and Landon (8-months-old). He was born and raised in Warren which he still calls home to this day. Jason graduated from Warren Mott High School in 2002 and is a Winning Futures Alum. He participated in the program both his junior and senior year and is a scholarship recipient. To win the scholarship Jason had to write a series of essays which included his five-year plan. He credits much of his success to the goals he set and his commitment to closely following that plan. Jason is now a mentor for Winning Futures at his alma mater Warren Mott High School. He encourages his mentees to set goals, explore careers, and uses his positive attitude to bring out the best in them. Jason also spends time on multiple association committees and finds his passion in supporting other local young professionals in the Metro Detroit area through BOMA’s Young Professionals Committee and Chairing the Detroit ASIS Young Professionals Committee. Paul Glantz possesses an in-depth understanding of business, having acquired substantial experience through progressively more responsible positions in finance, insurance, real estate and cinematic exhibition. Since January 2007, Paul has led Proctor Financial, Inc. as its President. From 2008 to 2012, the company consistently generated the largest single-year operating profit of any Brown & Brown profit center. Paul has also been the driving force behind the development and operation of Emagine theatres. He has been at the forefront of technological change in the theatre industry, particularly the transition to high-definition digital presentation. Under his direction, Paul’s theatre chain became, in January, 2006, the first in the nation to convert all of its 46 screens to high-definition digital. Paul holds a Bachelor of Science Degree in Business Administration from Wayne State University and a Master’s Degree in Taxation from Walsh College. He has received Wayne State’s Business School’s and Walsh College’s Distinguished Alumnus Award, Wayne State’s Irvin D. Reid Honors College “Pillar Award”, and Ernst & Young’s Michigan and Northwest Ohio Entrepreneur of the Year in consumer products/services. Paul serves on Board of Directors of Gleaners Community Food Bank of Southeastern Michigan, is a member of the Wayne State University Foundation, is Chairman of the Wayne State University Foundation Investment Committee Board, and is Treasurer of the Detroit Chapter of Variety International. Mr. Glantz and his wife, Mary, reside in Lake Angelus, Michigan. They are the proud parents of two terrific college age sons, Jack and Jim. Marcie Brogan is founder and chair of Brogan & Partners – an advertising firm headquartered in Birmingham with a branch in North Carolina’s Research Triangle and a research affiliate in Chicago. She is also co founder and CFO of Ignite Social Media, which is headquartered in the Research Triangle with a branch in Birmingham. In 1972 Marcie traded in a doctoral program at the University of Detroit for a copywriting job at Doner Advertising. Two years later she followed her husband to London and–despite being told she didn’t speak English–landed job at England’s hottest agency. Next came a stint in Brussels running a copy consultancy before being hired by Interpublic to help manage two ad agencies in The Netherlands thereby becoming Holland’s first female creative director. Back in the USA, Marcie opened her own agency in 1984; it has grown into a successful, high-energy agency committed to creativity and to an employee-focused workplace. In 2007 she co-founded Ignite. In 2012—thanks to younger partners taking on day-today management of both agencies, she has volunteered marketing time and ideas to Governor Rick Snyder. Throughout her career she has been active on civic and professional boards—the Nature Conservancy, the Eli Broad School of Management at MSU, the Detroit Regional Chamber, the Adcraft Club and others. She has had a strong focus on mentoring and hiring women and minorities. She has been honored for creative work, professional achievements and workplace innovations— including her recent inducted into Detroit’s Advertising Hall of Fame. Marcie is married to mystery author Mike Brogan, has two adult children and a granddaughter named … Brogan. Few people have achieved the hard-earned success of Michael Ansley, CEO of Diversified Restaurant Holdings, before reaching the age of 41. This is perhaps because he was introduced to running a business by his father who involved him in his painting and roofing business. After graduating from the University of Dayton, Michael pursued a career in home repair and construction products before deciding, with a college friend, to open Michigan’s first Buffalo Wild Wings franchise in 1996. Michael sold his franchise interest to his partner and began his own company in 1999. Since then, Michael has opened a new restaurant every year. He was the first BWW owner to offer full service to guests against the advice of corporate. An instant success, this model is now available nationwide, including Florida where BWW operates 10 stores. In 2008, Michael and his team launched Bagger Dave’s Legendary Burger Tavern of which there are now 12 in Michigan, Indiana and Missouri. In total, Michael’s company runs 44 restaurants in four states with 2,700-plus employees. The company plans to have 47 BWWs and over 50 Bagger Dave’s by 2017. Michael’s commitment to his community is shown through his work with many Michigan-based charities, including being a very active board member for Children’s Leukemia Foundation of Michigan. The company sponsors fundraisers through direct funding, serves meals to volunteers and provides volunteers for events. The company aims to donate 5% of its profits to charities this year. Though successful, Mr. Ansley says he is still learning the business. His energy, vision and courage define him as a role model for other entrepreneurs. Michael and his wife Kate have been married eight years and have three beautiful children: David, Mary Kate, and Madison. Linda Orlans knows the value of a guiding hand on the shoulder, pointing the way toward self-improvement and success. Mentors have played a role is Linda’s own success in business, something she acknowledges at every opportunity. With the encouragement from those close to her, Linda began early in life to build a rewarding career. She financed her own education to earn a B.S. degree from Wayne State University – then, went on to receive her Juris Doctor from the Detroit College of Law (now MSU College of Law) while working full-time and raising her daughter, Alison. Linda put her degree to work with a large law firm, but soon found that she had more to give – professionally and personally. In 1996, she struck out on her own and founded Orlans Associates, PC — a law firm serving the real estate financial industry. Since then, her entrepreneurial spirit has helped her launch multiple successful ventures including eTitle Agency, a title and settlement services company specializing in residential and commercial real estate, as well as three other law firms in the Mid-Atlantic region serving nine states. Today there are over 700 employees working within Orlans’ companies. A lifelong resident of Michigan, Linda’s philanthropy and commitment to the communities in which she lives and conducts business is embedded in her personality and reflected in the values of all her companies – which encourage financial and social responsibility, integrity, and innovation. Community service is a continuum at the Orlans’ companies. Linda serves on many boards and has been involved with the launch of Beyond Basics and First Words Society. Though Warren, Michigan-based automotive supplier SRG Global’s corporate presence extends into six countries, they have remained committed to supporting their hometown and its surrounding communities by assisting organizations such as Winning Futures. Through SRG Global’s culture of community-based giving, active charitable involvement, and encouragement of volunteerism amongst its team members, SRG Global has helped many organizations that rely on corporate support to achieve their goals and positively impact their communities.